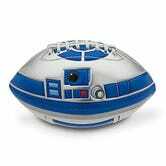 "Help Me, Obi-Wan Kenobi, You're My Only Hope... For a Two-Point Conversion"
When it comes to Star Wars merchandising, R2-D2 seems to take the brunt of Lucasfilm's continued attempts to cash in on the franchise. 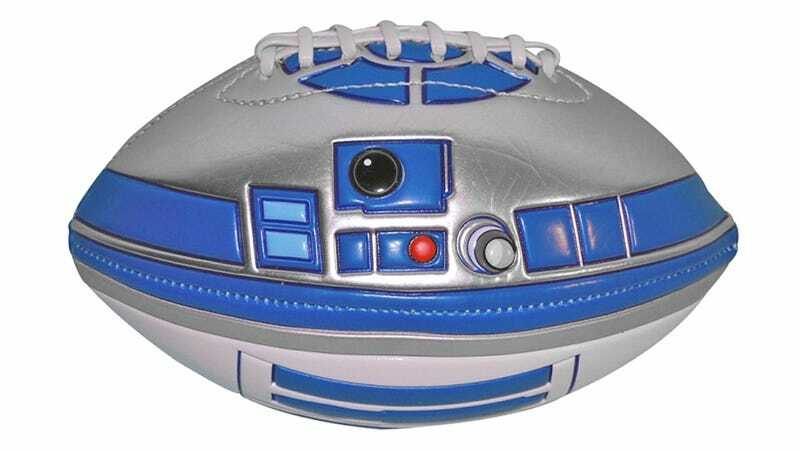 The poor astromech droid has appeared as everything from cufflinks, to bike helmets, to now a good old-fashioned American football. For just $12, the robot sidekick that once helped save a galaxy far, far away has now been reduced to advancing beyond the line of scrimmage. Somewhere Luke is rolling in his Jedi grave. Meanwhile, here on Earth, Lucas is rolling in his giant money pit.